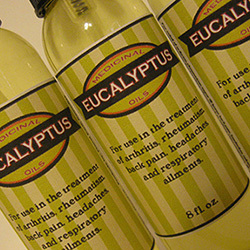 This product combines all the wonderful benefits of the Eucalyptus Oil with Lavender, which is one of the more important oils known for calming, breathing, pain relief and the list goes one. This lovely, relaxing blend, is extremely effective in calming the mind, body and relaxing muscles,while relieving pain for extended amounts of time (if massaged in deep). I have used this blend on many animals with spine and hip issues and it works wonders. 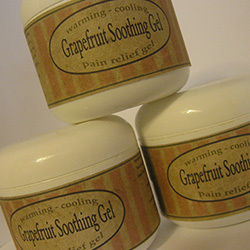 Applying a moist heat bag after massaging also is very effective in relieving pain and reducing swelling. This is nice to use at night before bedtime for calming and relaxing and bringing a restful nights sleep. I also apply the "Lavender Comfort Balm" under my nose, as it tends to relax the facial muscles, especially if you are a jaw clencher, teeth grinder. For headaches and migraines massage into the neck and shoulder area, as well as a little on the temples. You can also spray a flat cotton pad, hold tight at the nose area - and breathe in deep. 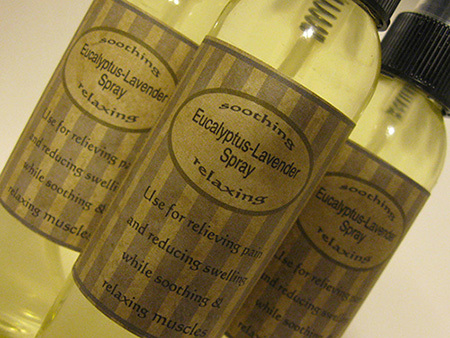 Lavender oil has a calming effect as well as is very soothing for muscles and nerves. 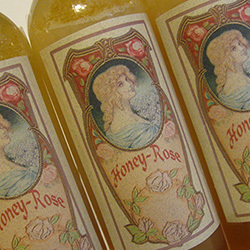 Ingredients: Almond Oil Jojoba, Vitamin E, Eucalyptus Oil with Lavender essential oil.